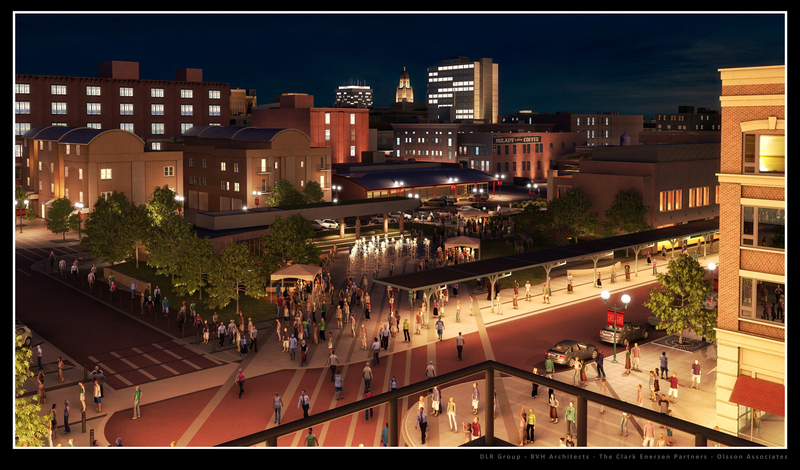 The board overseeing financing and construction of Lincoln’s $340 million arena project approved the use of condemnation — or eminent domain — to buy two pieces of property for the project. After an executive session — a portion of the meeting that is closed to the public to talk about real estate negotiations — the Joint Public Agency unanimously voted to authorize the use of condemnation to “take” property owned by Alter Trading Co. (which owns Alter Metal Recycling, a scrap yard south of the Harris Overpass) and the Watson-Brickson Lumber yard owned by Jaylynn, a limited liability corporation if necessary. Assistant City Attorney Rick Peo said the city and two property owners have been negotiating for months on what will be a “fairly complex” relocation. He said alternative sites for the scrap yard and lumber yard are difficult to find, and negotiations are “coming to impasse.” Railroad track work must begin this year, and the JPA needs to either acquire the properties or terminate rail services by May 8 to stay on schedule, Peo said. That’s why he said the “possibility of condemnation” is needed to get legal title to the land by then. “This is a timing issue,” said Dan Marvin, who coordinates arena work for the JPA. JPA member Tim Clare — a University of Nebraska regent — said he did “due diligence” and talked to the “players” involved in negotiations, and he said the property owners’ representatives were “very complimentary” and understand the situation. He said condemnation would only be used if necessary. Peo said a condemnation hearing date would be scheduled to award damages, but negotiations would continue in the meantime. “It buys you time,” he said of condemnation authority. As far as the Alter Trading Co. goes I understand, they need access to rail yards. That business has been there for how many years? I used to haul junk down there in the 60s and it was old then. It used to be called Hill & Nieden (sp). I do not believe that they should be put out of business because the city is building the arena. It’s like the chicken and the egg, which was there first? The lumber yard the same way. It’s businesses like these that has made Lincoln what it is today. The LJS thought the headline news was the high percentage of arena contractors with a “local presence”. It seems that any outside firm that comes to Lincoln to work on the project would meet that criteria. Does the JPA have a public relations company on the payroll (other than their web people) or does the LJS spin these stories for free? Scott Went = ever the conspiracy theorist. As I noted on the JS site: Good Lord, scottw, you can be as ridiculous as you want, but it just makes you look foolish. These are just some of the companies working on the project: Olsson Associates, The Schemmer Associates, Benesch, The Clark Enersen Partners, Farris Engineering, Sinclair Hille Architects, Davis Design. Most have offices in cities other than Lincoln. Would you really try to claim they aren’t “local”, that they really just have a “local presence”? CSL Marketing Consultants is going to have an office and at least one person in Lincoln. The article didn’t try to claim CSL is local or has a local presence. I think you’re the one doing all the spinning. Did I miss the DLR group in your list? I’m surprised since they’re receiving almost $9 million of the $24 million contracted. Changing the discussion from “local companies” to “companies with a local presence” sure seems like spin to me. What? An Omaha/Lincoln location isn’t “local” enough? Yes, spin indeed. Who owns the land the arena will sit on? or is it a lease? Has there been ground test done where the scrap yard is? I bet its more then just an diesel spill!